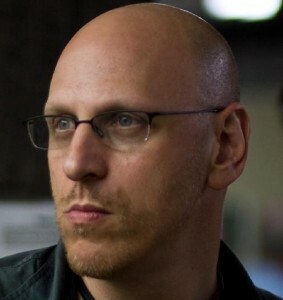 Oren Moverman is an Oscar nominated, New York based screenwriter and director. The Messenger, Oren’s directorial debut, starring Ben Foster, Woody Harrelson and Samantha Morton, was nominated for a Best Screenplay (with Alessandro Camon) at the 82nd Annual Academy Awards. The film was also nominated for Best Screenplay and Best First Feature at the 2010 independent Spirit Awards. Oren received The Spotlight Award for Best Directorial Debut from the National Board of Review in 2010. The Messenger premiered at the 2009 Sundance Film Festival and had its international premiere at the 59th Berlin International Film Festival where it was awarded the Silver Bear for Best Screenplay and the Peace Prize. The film was also awarded the Grand Jury Prize and International Critics Prize at the 2010 Deauville American Film Festival. Oren co-wrote Todd Haynes’ 2007 Bob Dylan biopic I’m Not There, starring Cate Blanchett, Christian Bale, Heath Ledger, Richard Gere, Michelle Williams, Julianne Moore and Charlotte Gainsbourg, a Weinstein Company release. He also collaborated with Ira Sachs on the screenplay for Married Life, a Sony Pictures Classics release starring Rachel McAdams, Chris Cooper, Pierce Brosnen and Patricia Clarkson, and on The Goodbye People, currently casting. Oren penned Interrupted about legendary director Nicholas Ray, with Phillip Kaufman directing, and William Burroughs’ Queer for actor/director Steve Buscemi. Both films are currently casting for a 2011 shoot. Oren served as screenwriter of Face, an Indican release, starring Bai Ling, Treach and Kristy Wu. Directed by Bertha Bay-As Pan, Face premiered in competition at the 2002 Sundance Film Festival. Oren was also a co-screenwriter and associate producer of Jesus’ Son, a 2000 Lion’s Gate/Alliance Release. Directed by Alison Maclean, the film stars Billy Crudup, Samantha Morton, Jack Black, Holly Hunter & Dennis Hopper. Biography courtesy of Oren Moverman.